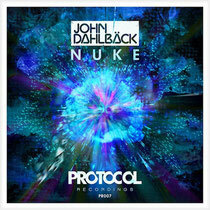 Nicky Romero's label, Protocol Recordings, has just released John Dahlback's new single, ‘Nuke’. Currently on his North American tour stopping at venues such as Liv Miami, Pacha New York, and XS Las Vegas, Dahlback remains at the top of his game as he has been churning out top live performances and quality tracks. Additionally, he has been managing his label, Mutants Records, that has been gaining recognition as a tastemaker platform. Building a name around his productions, John has a reputation for harnessing explosive energy that is manifested in his productions. In ‘Nuke’, he transitions from a stripped-down introduction of drums and looped arpeggios into an electro-house sequence with growling, bass-driven synth stabs. The track then breaks open to a bridge of evolving melodies and a crescendo, where it’s fully realized with the second drop that proves to be just as hazardous as the first. Have a listen below.